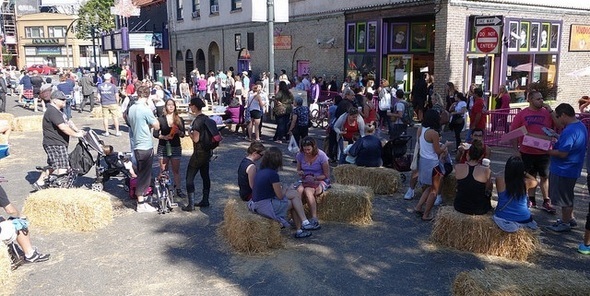 Livable Streets: What does placemaking mean to you? Why do we love placemaking? Because it means something unique to each of us and it allows us to develop programs, projects and events that capture a community's unique history and character. 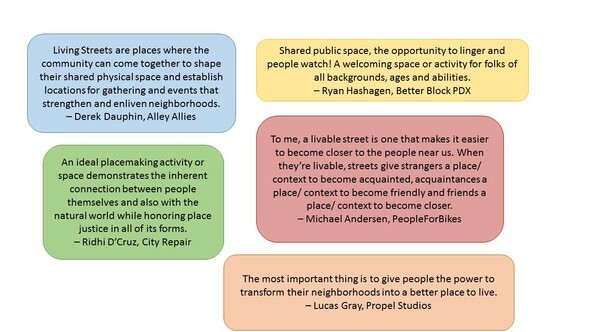 To help ensure we are capturing the spirit of placemaking; we asked our Stakeholder Advisory Committee - what does placemaking and Livable Streets mean to you? What does Livable Streets mean to you? Click here to share your answer with the Livable Streets Project Team.